Gul’s ultimate high performance back zip wetsuit. The Vortex is packed with even more features. 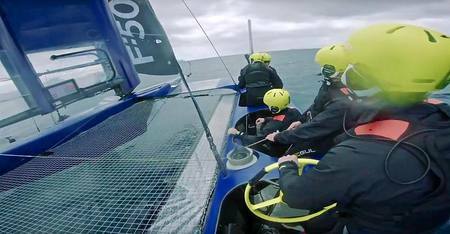 External liquid seams give 100% water seal whilst X-Flex neoprene on the main body panels stretches beyond 100%! We’ve used Thermospan lining inside, which wicks moisture away from your core. PK Blackout waterlock zip technology to the suit gives a watertight seal. All this offers you just what you need to stay warm whilst retaining maximum flexibility. Now with BOLTDRY - limited sizes available so get in quick! 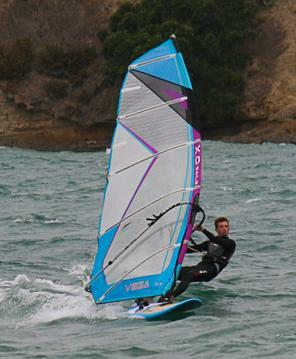 Vortex is a great windsurf/surfing wetsuit! 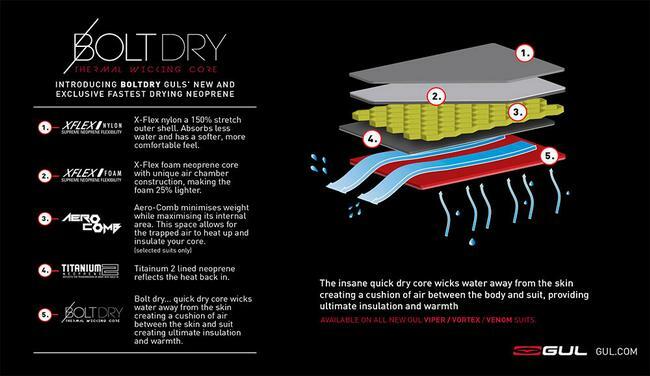 BOLT DRY: Quick dry core wicks water away from the skin creating a cushion of air between the skin and suit giving ultimate insulation and warmth. NEO-WELD: Stitchless Seam Technology, means thereís no stitching. Stitching has been replaced with 4mm razor thin NEON-SEAM bonding press which eliminates the need to stitch seams. 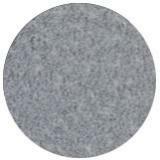 No stitching means no pinholes... which means no leakage! AERO-COMB: core minimises weight while maximising its internal surface area. This space allows trapped air to heat up and insulate your core. WOW ! this wet suit defiantly got me steaming ! Very warm and comfortable, no water will ever get in unless wanted to too ! 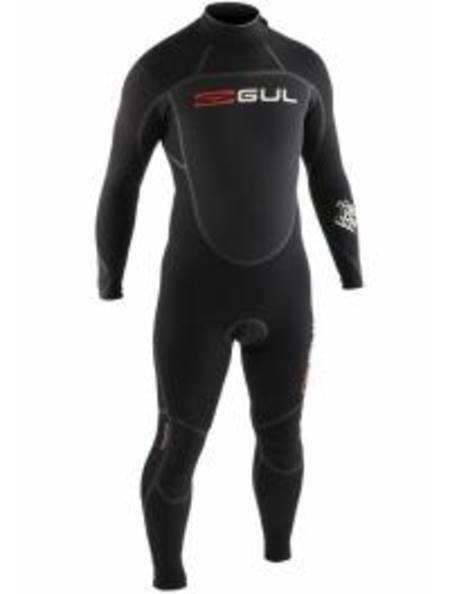 Fantastic wetsuit, used it all winter and never felt cold. Really like the quality of materials as it offers great durability where needed but still has heaps of flexibility perfect for any water sport. 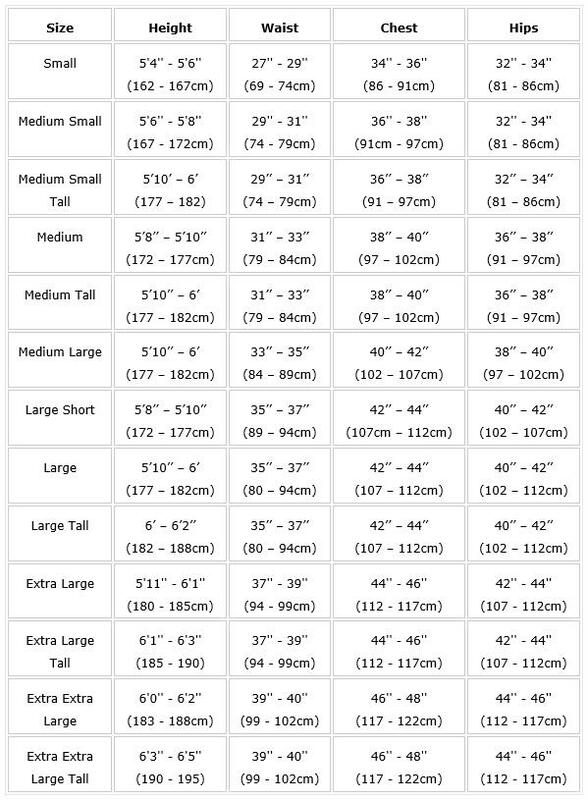 Overall a very high quality wetsuit at a very affordable price. Very pleased with the Vortex suit, fits well with very flexible neoprene , well sealed seams and comfy neck seal. Excellent value winter/spring suit.